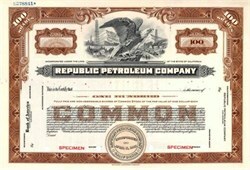 Beautifully engraved specimen from the Republic Petroleum Company. 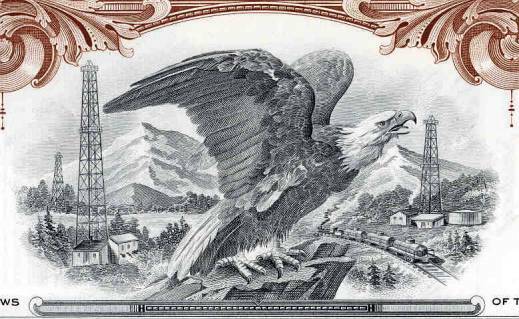 This historic document was printed by the Security Banknote Company and has an ornate border around it with a vignette of an eagle. The General American Oil Company of Texas acquired the Republic Petroleum Corporation in 1949. In 1983, the General American Oil Company of Texas was acquired by Phillips Petroleum.